In a large bowl, beat 2/3 cup butter on medium speed for 30 seconds. Add 3/4 cup sugar, 1 teaspoon of baking powder, and 1/4 teaspoon of salt. Beat until combined. Then add 1 egg, 1 tablespoon milk, and 1 teaspoon vanilla and mix that in. 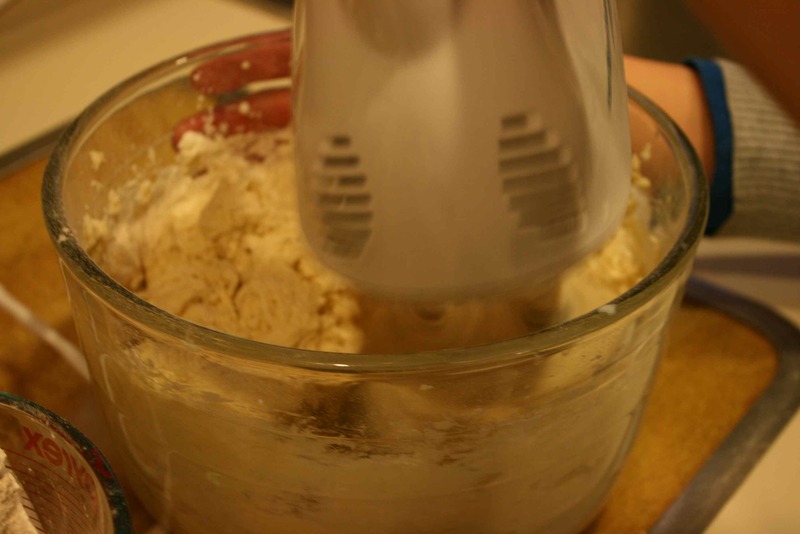 Beat in as much of the 2 cups of all-purpose flour as you can with the mixer, then stir in any remaining flour. 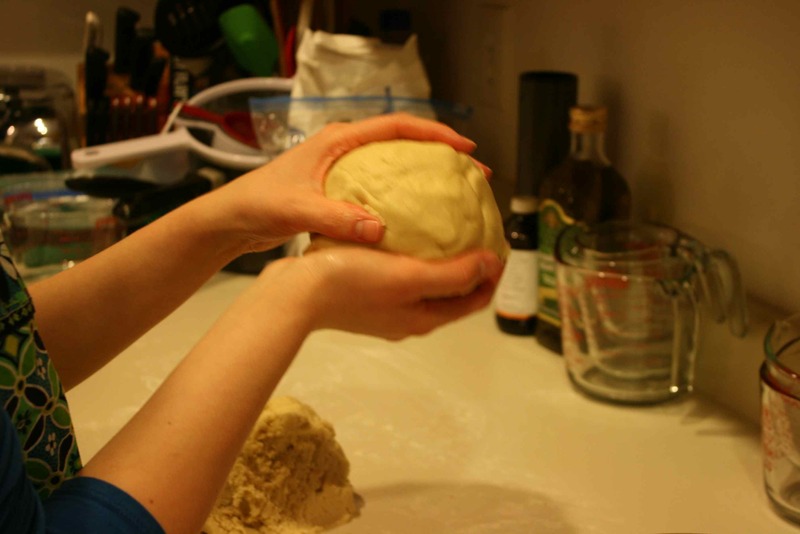 Divide the dough in half, seal it in a large plastic zip bag, and chill it in the freezer until it’s easy to handle — about 20 minutes. 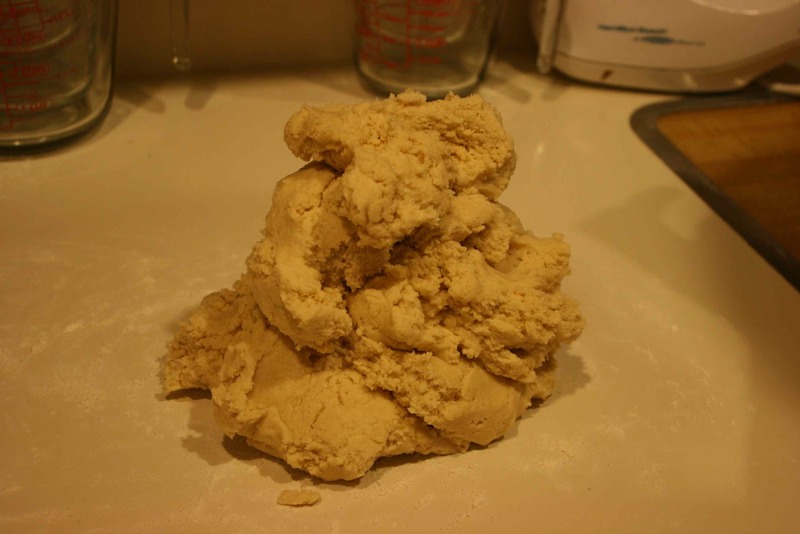 Preheat the oven to 375 F. Flour the surface your working on (Betsy and I just flour the counter itself and roll the dough out there), and roll half the dough out at a time until it is 1/8 to 1/4 inch thick. 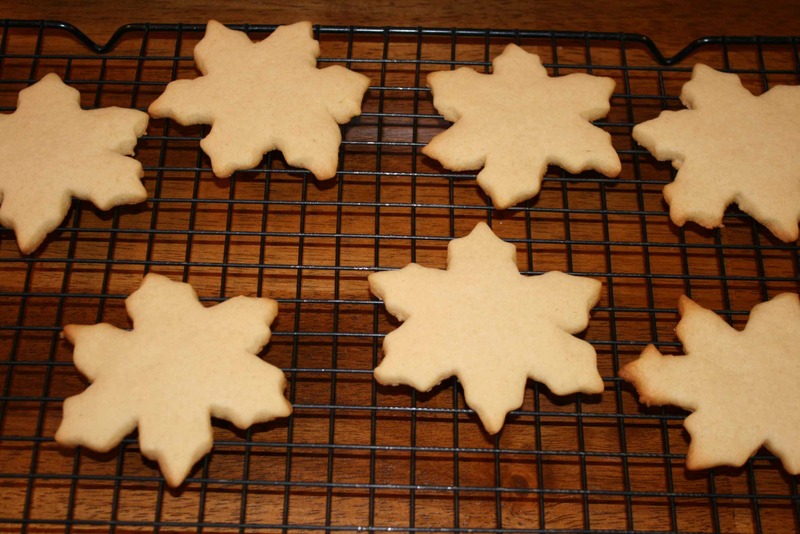 Cut the dough into shapes of your choice and place them on a cookie sheet. Bake until the edges are lightly browned. You’ll have to guess on the time, depending on how big your cookie cutouts are. 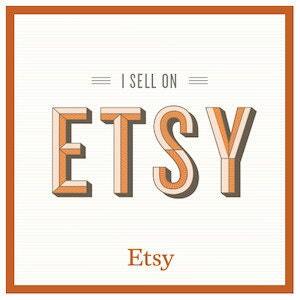 If they are average — about 2 1/2 inches wide — it will take probably 7-10 minutes. Cool them completely on a wire rack. 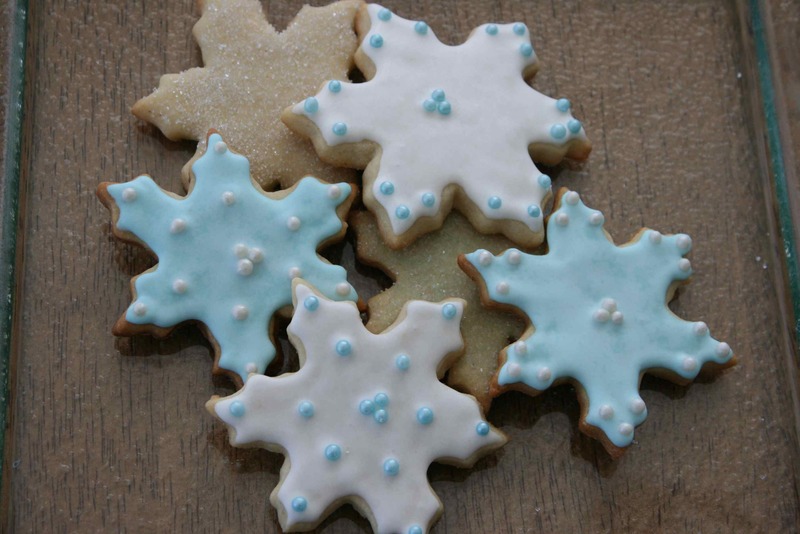 Frost them with royal icing and decorate with sprinkles and candies.